All-In-One Converter is a best & fastest all-in-one video conversion. By using it, all video and audio formats can be converted to each other. Rip, copy and convert DVD to most popular video/audio formats even HD video.Convert a couple of 50GB DVD ISO's to MKV files up to 3GB/s speed! Convert all the files to Apple ipod, Sony PSP, MP4 Player, smart phone... It's the fastest MP4/PSP video converter. Convert any format to iPhone directly with the fastest conversion speed in the world. 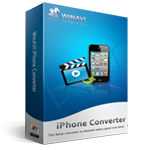 Convert any video formats to iPad directly with world's fastest conversion speed. 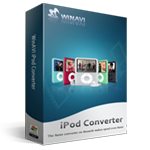 Convert any format to iPod directly with world's fastest conversion speed. Decrypt Blu-ray disc and remove AACS, BD+ copyright protections; Convert to most popular video/audio formats even HD.